New Brunswick, N.J. – Aiming to reduce cancer risk, improve the understanding of cancer outcomes, and promote cancer health equity in our most vulnerable populations at the community level, the Rutgers School of Public Health and Rutgers Cancer Institute of New Jersey have recruited Anita Y. Kinney, PhD, as Director of the Center of Cancer Health Disparities at the Rutgers School of Public Health and Associate Director of Cancer Health Equity and Engagement at Rutgers Cancer Institute. 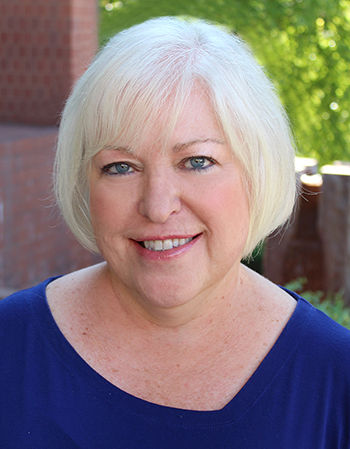 Previously, Dr. Kinney was the Carolyn R. Surface Endowed Chair in Cancer Population Sciences at the University of New Mexico’s Comprehensive Cancer Center and Professor in the Department of Internal Medicine. She was also the Associate Director for Cancer Control and Population Sciences, and a Co-leader of the Cancer Control Research Program, among other roles. Throughout her career, Kinney has conducted research focused on a more comprehensive understanding of the variation in cancer risk and determinants of risk and outcomes. She examined how to apply these findings to develop more effective interventions that can facilitate informed decision making and more efficient practices in preventative care delivery. In her new roles at Rutgers, Kinney will focus on engaging communities impacted by cancer health disparities through research and other initiatives at the Rutgers School of Public Health and Rutgers Cancer Institute. As Director of the new Center of Cancer Health Disparities at the Rutgers School of Public Health, Kinney will engage with communities impacted by cancer health disparities through the development and oversight of a Cancer Health Equity Research work group. Part of her role will include facilitating the translation of the work group’s findings to communities through forums and media platforms. She will also facilitate junior faculty mentorship and create research opportunities for students interested in cancer health disparity research. At Rutgers Cancer Institute, Kinney’s responsibilities will include enhancing and executing community outreach and engagement initiatives, as well as working with cancer center faculty members to ensure that New Jersey’s most vulnerable populations are integrated into population science, clinical and translational research efforts. “I am excited to return to my home state of New Jersey to work toward helping reduce the burden of cancer in the state’s diverse and underserved populations. Our new Cancer Health Disparities Center will promote health equity in cancer prevention and care delivery through community partnerships, outreach and a team science approach. I am also looking forward to mentoring students, postdoctoral fellows and junior faculty in cancer health equity research and developing sustainable solutions to improve cancer outcomes in New Jersey and beyond,” notes Kinney. Since 1986, Kinney has authored or co-authored more than 125 peer reviewed publications. She serves on a number of External Scientific Advisory Boards for major cancer centers across the country and is a member of the National Cancer Institute Cancer Care Delivery Steering Committee and a National Institutes of Health Study Section. She also is a Senior Editor for Cancer Epidemiology, Biomarkers and Prevention, is an American Academy of Nursing Fellow, serves on the Board of Trustees for the Society of Integrative Oncology and holds numerous other leadership roles related to her profession. Her leadership appointments went into effect July 1. Rutgers Cancer Institute, along with its partner RWJBarnabas Health, offers the most advanced cancer treatment options including clinical trials and novel therapeutics such as precision medicine and immunotherapy – many of which are not available at other facilities across the state. Patients have access to these cutting-edge therapies throughout the state at Rutgers Cancer Institute of New Jersey in New Brunswick, Rutgers Cancer Institute of New Jersey at University Hospital in Newark, as well as at RWJBarnabas Health. Along with world-class treatment, which is often fueled by on-site research conducted in Rutgers Cancer Institute laboratories, patients and their families also can seek cancer preventative services and education resources throughout the Rutgers Cancer Institute and RWJBarnabas Health footprint statewide. To make a tax-deductible gift to support the Cancer Institute of New Jersey, call 848-932-8013 or visit www.cinj.org/giving. Follow us on Facebook at www.facebook.com/TheCINJ. The Rutgers School of Public Health is New Jersey’s only accredited school of public health. The Rutgers School of Public Health seeks to improve health and prevent disease in diverse populations in New Jersey, the country, and the world by educating well-qualified and effective public health leaders, scholars, and practitioners; conducting research to advance public health science and policies; and providing service programs that promote population and individual health. Visit the Rutgers School of Public Health at http://sph.rutgers.edu/ and stay connected by following @RutgersSPH on Facebook, Instagram, and Twitter.